Caliente (prod. Nevik) - Wavy. High Power Feat. Nevik (prod. Nevik) - Wavy. How Low (prod. Fki1st And Sosa808) - Wavy. Purple Swirl (prod. Nevik) - Wavy. Wavy's World (prod. 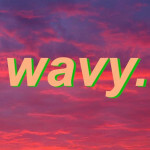 Nevik) - Wavy.